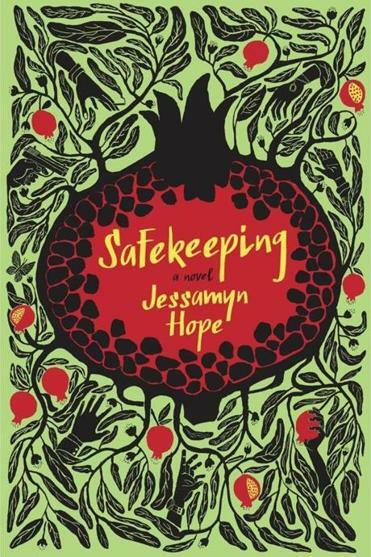 Jessamyn Hope’s debut novel “Safekeeping” revolves around a man’s quest to return a brooch to his grandfather’s lost love. In New York’s Tenement Museum, objects that belonged to past residents of the buildings are carefully preserved behind glass. Discovered under floorboards and behind walls during demolition and reconstruction, rusted menorahs, worn rosaries, and tarnished pieces of jewelry suggest the stories of those to whom they belonged; items kept safe through travel and hardship, only to be abandoned or stolen or lost. 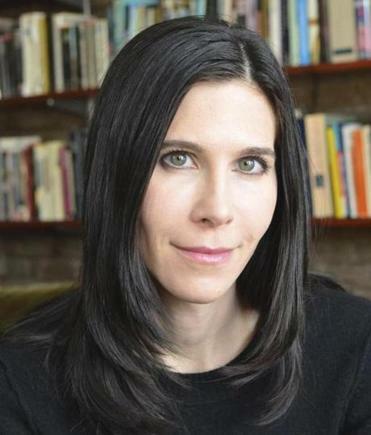 “Safekeeping,’’ Jessamyn Hope’s luminous, irreverent, and ambitious first novel, shows how a single item — a medieval brooch made by a Jewish artisan for his wife — connects people across time and history. Full of romance, tragedy, betrayal, and the constant reminder that chaos is a driving force in everyone’s story, “Safekeeping’’ is a wise and memorable debut by a novelist of great talent and originality. Spanning seven centuries, the novel tackles geography and history — the Holocaust, the Palestinian-Israeli conflict, 9/11, the Black Plague, Nazi Germany, the Jewish ghettos of the Holy Roman Empire, the Chernobyl disaster, postwar New York, and a strange controversy involving orphans and Canadian Roman Catholic nuns — through multiple points of view and with a healthy dose of dark humor. Set in 1994, the action is triggered by the arrival in Israel of Adam, a hapless but not yet entirely irredeemable addict in his late 20s. The young New Yorker is bound for Kibbutz Sadot Hadar with a singular quest: to return the brooch, his late grandfather Franz’s prized possession, to Dagmar, the young Zionist he fell in love with on his way to America just after his liberation from Buchenwald. It’s a question readers will ask, yet it’s also true that Adam’s struggle to stay clean sustains much of the novel’s narrative tension. His suffering, just like his grandfather’s, is very real. Hope makes no attempt to quantify why people suffer, or how deeply. And there is plenty of suffering in this novel, but also hope. Ofir, the brilliant musician permanently injured in a bus bombing, is also a fumbling, hormonal teenager, eager for new experiences. Ulya, who stole her name from a gravestone in Belarus in order to make aliyah, is obsessed with Manhattan and finding her “green-card husband,” while finding affection with a Palestinian worker on the kibbutz. Claudette struggles to overcome an extreme case of obsessive-compulsive disorder while forging unlikely friendships that allow her, and others, to bloom. The novel is sprawling, yet readers are always grounded in space and time. Hope maintains command over her characters and resolves the story lines in unexpected ways that are also satisfying and slightly open-ended. Like many objects, the brooch, with its “tangle of thin vines and little flowers” comes to represent, as many precious items do, both possibility and loss. Like people, it acts as a potential instrument of destruction and salvation, often in the same moment.